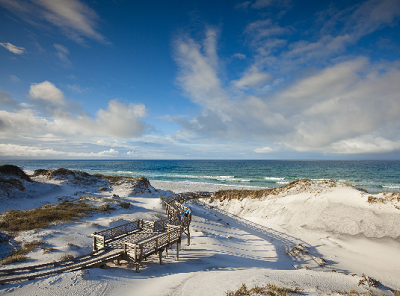 Florida is home to many attractions and get-away destinations. When winter hits, the state becomes cramped with tourist and out-of-staters trying to soak up the warm sun. You can beat the crowds and traffic this winter by being smart about where you beach. That’s right. Beach is also a verb now! It’s 2018! Some beaches are swamped with crowds, while others are isolated retreats. So, since you just passed your Florida driving test, it’s time to celebrate. Forget about that cliché trip to Disney World, the beaches of this coastal peninsula are beckoning your name. Here are some hot spots you may want to consider during your winter escape. 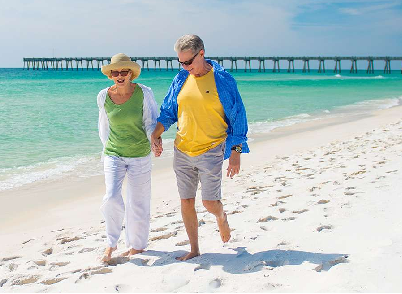 Located in the Emerald Coast, Santa Rosa is a beach destination that has crystal clear waters and open sands. With extra space on this beach, you can avoid that wandering, estranged old man trying to find the perfect location to place their beach umbrella. If you’re trying to find something that offers more than just a leisurely rest under the sun, then check out the Delray Beach. Catering to the more touristy side, you’re able to find snorkeling, water skiing, drinks, and more at this beach side rendezvous. The more secluded the better! 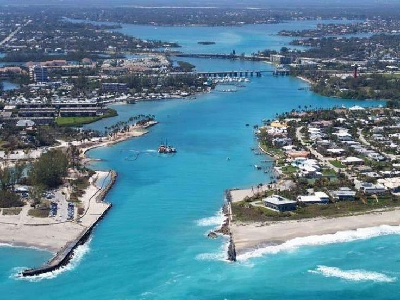 If you’re an isolationist, but also a beach lover, then consider Jupiter Beach your next destination. This spot is perfect if you want to avoid the crowds and commotion of the more popular spots. Jupiter Beach is made from a tiny sliver of Florida’s coastline, so it’s often overlooked by people on vacation. What? Have I been transported across the continent to Mexico? Nope! One of Florida’s favorite, small beach towns is home to Mexico Beach. It’s quiet with a small-town feel. Located east of Panama City, Mexico Beach is a forgotten spot for travelers. This means open beaches and quiet retreats. Big crowds and big parties. 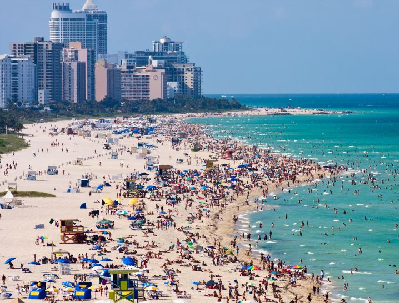 Miami Beach is a very popular tourist destination during the prime time of winter. Partygoers and college freshmen males and females alike are a common sighting along this beach strip. If that sounds like your kind of party, then buckle up and hit the road, Miami Beach will be your favorite vacation spot this winter. Just like the name implies, Clearwater Beach has crystal clear waters. 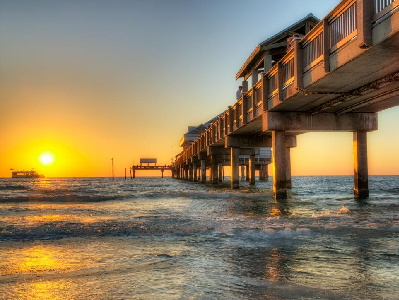 Being a familiar destination among travelers, Clearwater Beach is a pleasant trip for the entire family. A little-known fact, you can take sail on a commercially owned pirate ship off the pier. Now you have the chance to fulfill your crazy pirate dream! This popular family destination is great for all ages. Nearby is the bustling city containing plenty of attractions, restaurants, and relaxation. 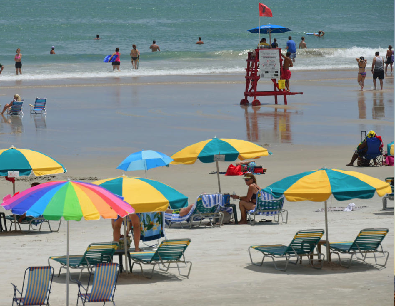 Daytona beach is a staple of family-friendly Florida beaches, because of the amenities they offer their guest. From biking along the coast or boogie boarding out to sea, you’ll find it all at this popular spot. This coastline is known as the most popular, but-never-heard-of-before, beach. 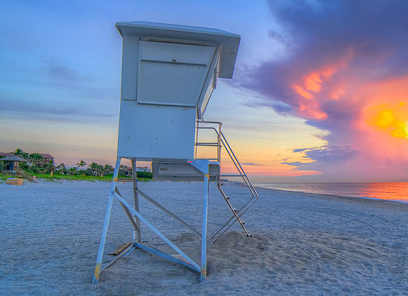 This sandy destination stretches along the west side coast of Florida. It has a reputation of turquoise waters, white sands, and peaceful atmosphere. You can also find affordable rentals with plenty to do in the small towns nearby. Ah, yes. 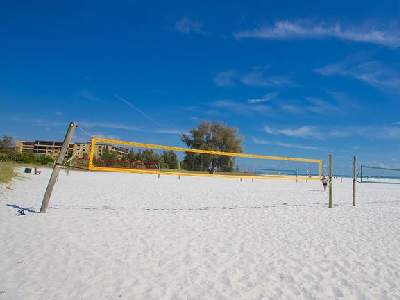 No Florida beach list article will be complete without the famous Siesta Keys. This city has everything you could expect in a tourist destination. It’s known as a family-friendly city, so you’ll miss out on all the college guys blasting music and beers next to your family’s beach spot. Oh, also, they have a body of water called Oyster Bay. How whimsical is that!? Whether you’re taking a week off from college or trying to escape winter’s wrath, Florida has the perfect beach to meet your needs.